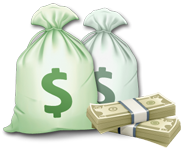 The new developments make TradoLogic the Binary Options platform with the most advanced bonus system. The developments have been designed to deliver additional value to operators and give them a high level competitive edge, while at the same time ensuring a superior player experience. TradoLogic, the world’s leader in Binary Options platform providing, is proud to announce the latest enhancements to its bonus system. The back office system developments have been designed to deliver additional value to operators and give them a high level competitive edge, while at the same time ensuring a superior player experience. Under the new and enhanced bonus system operators have the option to define non-redeem bonuses which means no more risks of losing rewarded bonuses and royalties paid for them as well as better chances of improving revenue share. The system now also features a different bonus balance separated from the real balance. Another exciting highlight that has been added is the ability to define bonuses according to a specific campaign. The latest developments of the bonus system provide more opportunities for operators to endorse their players at no risk. They also nurture a longer player lifetime together with increased player value. As with all aspects of the TradoLogic platform, the new features of the bonus system comply with the responsible gaming policies and market requirements. With this latest enhancement, TradoLogic completes a line of developments which put the company on top of the market, giving it the cutting edge advantage among all B2B Binary Options software providers. The company stands firm in the pursuit of business excellence. "TradoLogic is 100% committed to its operators and keeps improving the service and the system with no compromises. We will continue doing so and will stay leader in this market, achieving our goal to supply the best platform on the market," company officials say. About TradoLogic: TradoLogic is the world’s leading binary options trading platform provider, who offering innovative solutions to the financial trading industry. TradoLogic’s turnkey solution provides premium services and support, tailored to meet the ever changing demands of the rapidly growing financial trading market. TradoLogic helps clients be the best in the competitive binary trading landscape, by providing new games, trading tools and many other valuable functionalities. The TradoLogic trading system provides operators with the features needed to expand their market share, increase client profitability, and enhance the overall trading experience for their client base.